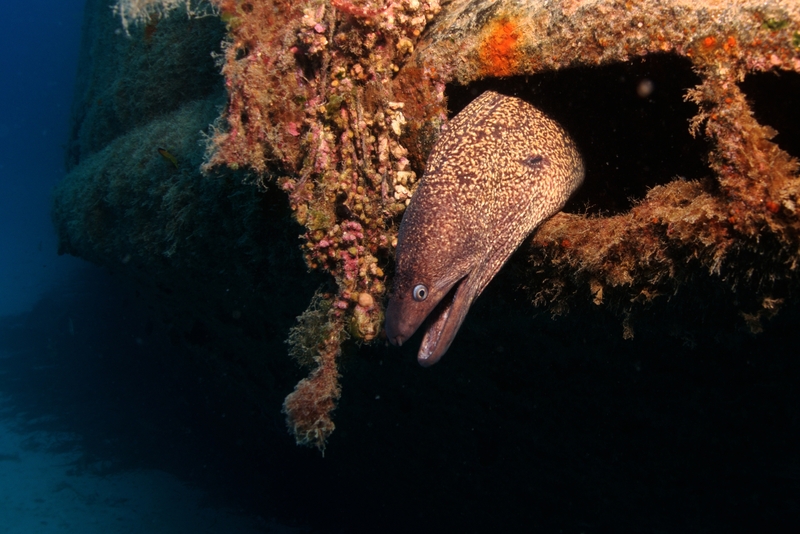 A picture-friendly Mediterranean moray eel (Muraena helena) poses alongside the Rozi. This particular moray was so friendly that I was able to get right in its face, even removing the wide-angle dome for better close-ups. This work is licensed under a Creative Commons Attribution-ShareAlike 4.0 International License. Please attribute Kristaps, the photographer, with a link to kristaps.bsd.lv/photo0054.html.